We wanted to provide a quick update on how things went last week during our Thanksgiving RECON campaign and also provide a heads up on our final event of 2016. 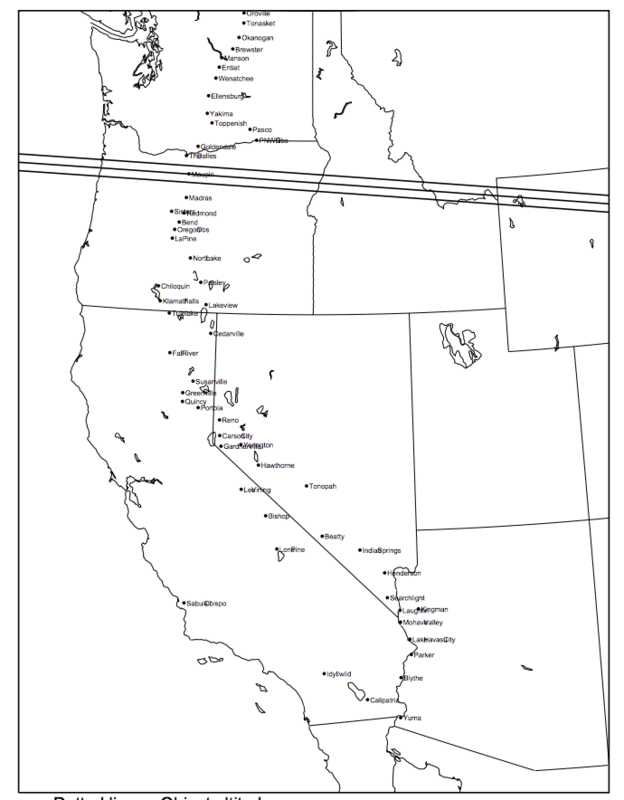 With the exception of Tulelake, California, weather got in the way of observing for all telescope sites from Oroville, Washington down to Carson City, Nevada. Unfortunately, clouds did not part in Central Oregon until after the event. However, clear skies prevailed for our 20 sites from Yerington, Nevada south to Yuma, Arizona. Based upon reports, 15 of these sites successfully acquired the target field and recorded the event, while 5 sites encountered technical issues, primarily involving power and alignment issues. For the next few days, you can view reports from all RECON teams on our Event Reporting Status Page. Teams that acquired data are currently uploading video data to Southwest Research Institute in Boulder for further analysis this month. Our final campaign of 2016 will be Saturday night/Sunday morning, December 10-11. The centerline prediction for Centaur 14UT114 passes over Maupin, Oregon. With a 1,200-km uncertainty, over 50 RECON telescope sites from Oroville, Washington to Blythe, California are in the 1-sigma shadow zone. All teams are crossing their fingers for clear weather for this occultation opportunity, which currently has a 37% probability of detection by the network. All RECON teams are asked to submit the RECON Campaign Signup Form by this weekend. Submitted reports can be viewed on our Signup Status Page.